Welcome to Color Play Friday! I'm so excited because this is my first week playing along with Trina from In an Otter Life and Lorinda from Laurel, Poppy and Pine, the masterminds behind Color Play Friday. 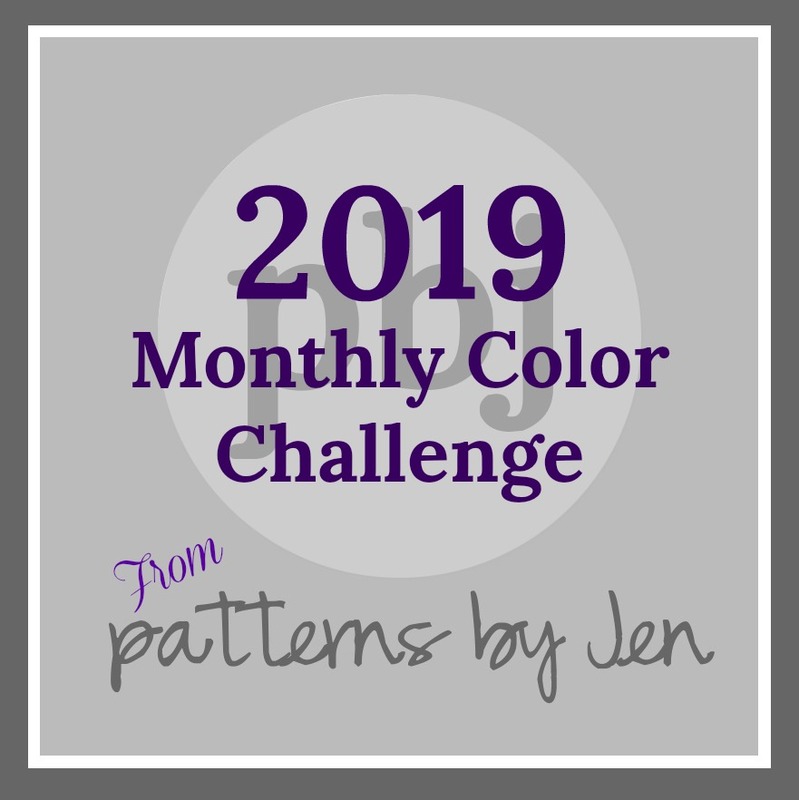 For those of you new to Color Play Friday (CPF), it is a fun weekly challenge started by Trina and Lorinda in September 2015. Each week they select one of their photographs and then everyone creates a palette and a corresponding bundle of fabric based on the photo. Fun, right?! ** GIVEAWAY ALERT ** This week Stash Fabrics is teaming up with Trina and Lorinda to give away a bundle of fabric! Go to In an Otter Life and/or Laurel, Poppy and Pine to learn more! Here is my bundle for the week. I was immediately drawn to the beautiful colors on the rim of the bowl and I knew I wanted to incorporate them into my palette. I mean, just look at those blues! I also wanted to use the yellows but they were all just a bit too ocher. Lol. I just realized that it's a natural tendency for me to gravitate toward those colors. Blues and yellows will get me every time. The whole process was a lot of fun! I don't usually go looking for pinks and corals so I was a bit challenged this week. But I think that's the whole point of this game - to challenge ourselves. 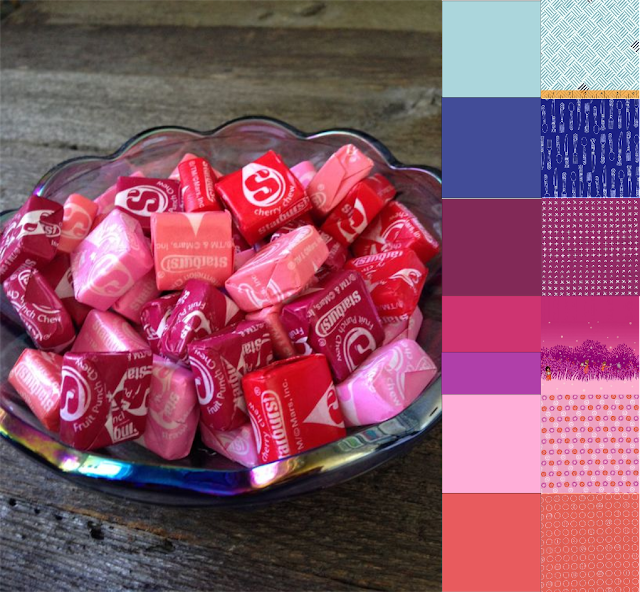 It's so much fun to see the palettes that other people pick from the same photograph. Be sure to check out the other participating blogs this week! Want to join in next week? Go to Trina's Color Play Friday page or Lorinda's Color Play Friday page to learn more! I'm so glad you've joined us and that CPF pulled you out of your comfort zone a bit with the pink and coral. That bowl was a gift from my mom and is one of my favorite things that I own, so it's fun to see everyone playing with the gorgeous colors in it. I have matching fabrics with a lot of people this week, including you! The Summer Nights panel was my focal fabric when picking everything else. You did a great job picking your palette and bundle. I'm loving the blues you selected! I tired to use the Summer Nights fabric as a focal point as well. I loved seeing everyone's bundles this week and seeing who had fabric matches. That is a really great bowl. I love Sarah Jane! I almost went that direction. The silverware is also nice. 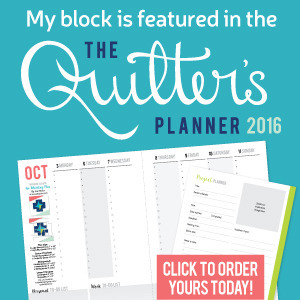 Loved checking out your blog! I didn't get a chance to say welcome aboard the color play train, so welcome aboard! We choose the same blue fabric! and some of the same palette choices. I love that summer nights print. I too felt I had to include some of the rim colors, they were just calling out to be chosen, lol. I love how the light and dark blue tones work splendidly with the burgundy, pinks and corals! !